But even before the 2018 midterms, Laura Colarusso, the digital managing editor at WGBH News, was looking at how women were represented in public office. The result was a data-driven piece titled “The Original Old Boys’ Club,” a comprehensive multimedia piece that Colarusso has been working on since she joined WGBH. 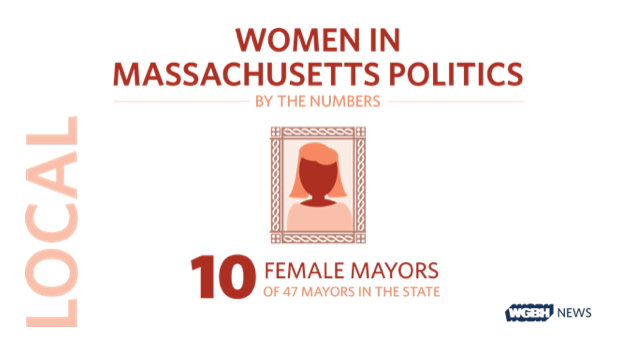 Working on the piece as a side project to her usual duties, it took Colarusso more than a year to collect the data for the 300 or so towns she wanted to survey to reveal how women were represented at the lower levels of Massachusetts politics. The initial idea came from, it seemed like there was a lot of momentum building after the 2017 Women’s March. There were a lot of female candidates running and we were pretty easily able to get data at the federal level. We know who is in our congressional delegation and the state house has been studied, but there was no single place we could go to get this information for local select board levels. I was really curious about it. I think it was one of those things where it seemed like a lot of work at the time, but it seemed important and we thought it was important to do. Tangentially, I had covered four towns for the Boston Globe in 2008 and my recollection was that there were very few female select board members and so I went back and looked and low and behold, there were about two of the 20 were female and the communities have about the same number of women representing them at the select board level. How much did the “pink wave” have an impact on this project? We started the project before the 2018 election happened, but when we saw what happened in 2018 and we saw the narrative that was developing in terms of how it was the ‘Year of the Woman’ and ‘Pink Wave’ and just how many seats were added. It seemed like a lot if you were paying attention to the overall narrative, but when we started digging into it, it seemed like it actually wasn’t that big. 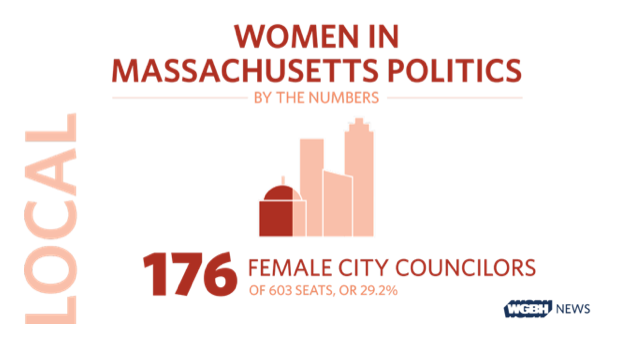 In the Massachusetts state house, the percentage of women holding seats hovered around 25 percent since the early 2000s.It was around that 25-percent mark and last year, 2018, the election it ticked up to 28.5 percent, which is a gain. They’ll call that some progress, but they’re also not happy that it was that low. It made a lot of people feel like at that rate, it will be a long time until there’s parity, which is the goal of a lot of the people that I talked to. They think that women make up 51 percent of the population, so representation at all levels of government should reflect that. What was the data-gathering process like for you? It was going to town websites, but we looked up annual town reports and talked to town clerks and select board secretaries and put it all together in a spreadsheet and we also did this for city councils. So, it was just day-in and day-out making sure we were staying on top of it. It was just a lot of calling and emailing and searching as much as we could. There were names that we weren’t sure if they were male or female, so I made sure to look them up to see if we could find them on social media, campaign literature, local news clippings and if it still wasn’t clear, then I’d call back and ask town clerks to make sure we had the right ‘M’ or ‘F’ next to their names. What was your ultimate goal in telling this story? I went in with a goal of simply finding out what the numbers were because whatever they were because they hadn’t been reported before, that would be newsworthy. So, it could have been that women held 75 percent of the seats and that wouldn’t have been quite as long of an article, but it could be something that people didn’t know before. That was our No. 1 goal and once we got the numbers and started asking experts about them, that’s when I was able to put together this bigger piece and took a step back and said, ‘Wait a second, as much as the talk was about 2018 being the ‘Year of the Woman’ in Massachusetts, at least, it’s been hard for women to break that 30 percent barrier.’ Fewer than 30 percent of the select board seats and city council seats have been held by women; fewer than 30 percent at the state house level are held by women. The point was that, despite all this progress that people thought was being made, there was still a pretty big gap between where women are and what they’re hoping for. 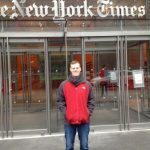 Was there any one piece of data or information that you discovered through your reporting that caught you by surprise? For the actual numbers themselves, in that 30 percent range to 36 percent range… the select board, city council and state house numbers were all pretty well in line, so they didn’t really surprise me all that much. One thing to point out is that we did find that 85 select boards are all-male. And that’s out of a little less than 300 towns. So, a little less than a third have no female representation. There are two select boards that are solely female. What was the process in presenting this story in several mediums with the text narrative, the video and then the data viz? Being a public radio station, did you need to also produce an audio presentation of this story? It was definitely digital-first and what we wound up doing when we found out that we had something that people would be interested in and that we felt was a piece of new information that we had the opportunity to share with people, then the radio side got involved and I did a debrief on All Things Considered and I was on our program, The Scrum, to talk about it. So, this was a project that digital drove what we were doing and then radio came in and helped make it more well-rounded so we had a little bit of everything.